The high standard of labs and technology in Chinese medical institutes is helping to boost the influx of Indian students. Dr Parvathy Kumar, currently practicing medicine in the Indian state of Kerala, is hoping to return to China to pursue her postgraduate studies, having received her undergraduate degree in medicine in 2010 from the Wuhan University in Hubei province. Her father, Anil Kumar, is just as keen for her to continue to study in China after evaluating various global options, as he wants his daughter to get the best postgraduate training at an affordable price. He believes it is possible only in China, and, having already studied there, his daughter agrees. It is estimated that over 9,000 students leave India each year for medical education abroad, with China being the most popular destination. They are drawn by lower fees, English-language courses and increasingly cosmopolitan campuses. According to India’s National Board of Examination — which conducts the mandatory screening test that allows foreign medical graduates to practice in India — over 14,000 medical graduates took the test in 2012, of which around 8,000 candidates graduated from various medical institutions in China. Since 2004, after China introduced English-language undergraduate courses in medicine, the flow of aspiring Indian doctors to China has been steadily increasing. Dr Parvathy also heard positive feedback before her China move. Her cousin, who had completed an undergraduate medical course from the China Three Gorges University (CTGU) in Yichang City, Hubei province, was able to assist her in making the decision. “My cousin who is a doctor now in India had given a rave review on China,” she says. 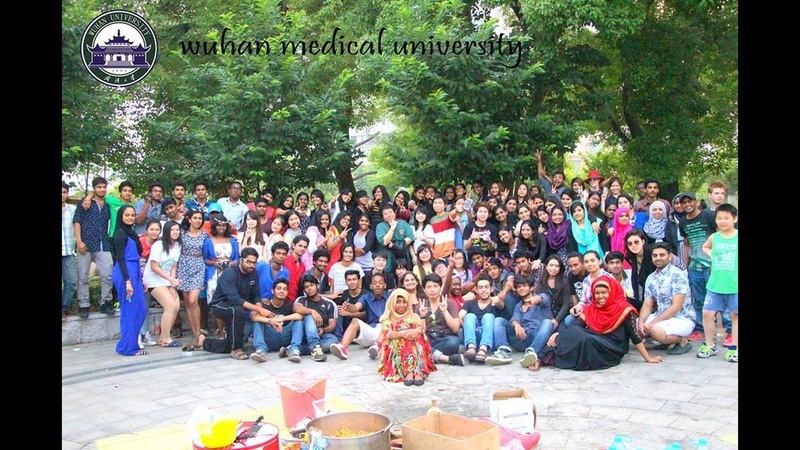 There are around 170 medical colleges in China, of which 139 are currently listed in the Avicenna directory, a database run by the University of Copenhagen of medical schools worldwide. In 2004, only four medical colleges in China were providing English-language undergraduate courses in medicine for foreign students. In 2005, it had quadrupled to 16 and by 2011 it had jumped to 49 colleges. Every year, the International Cooperation and Exchange Department of the Ministry of Education (MOE) in China prepares an approved list of medical colleges. It allotts each a certain number of seats according to capacity after conducting a thorough scrutiny of the English medium standards including examining the infrastructure, amenities and proficiency of the faculty. In the approved MOE list for the 2013-14 academic year, 52 medical colleges offer English-language undergraduate course in medicine with a total number of 6,020 seats. The list is also accepted by the Medical Council of India, a statutory body with the responsibility of maintaining high standards of medical education and recognition of medical qualifications in India. V Rajaram explains that another appealing factor of the Chinese courses is that the final year of the six-year course, which consists of an internship, can been carried out in either China or India. 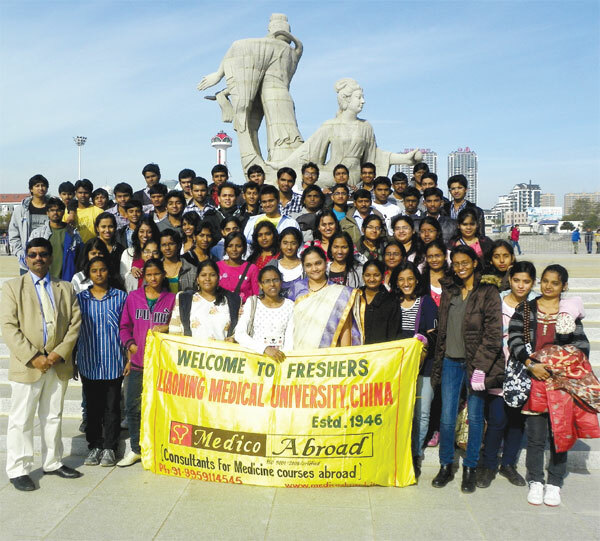 Dr Bhagavatula Gayathri, who completed her undergraduate course at the Dalian Medical University, believes that her decision to go to China was the right one. 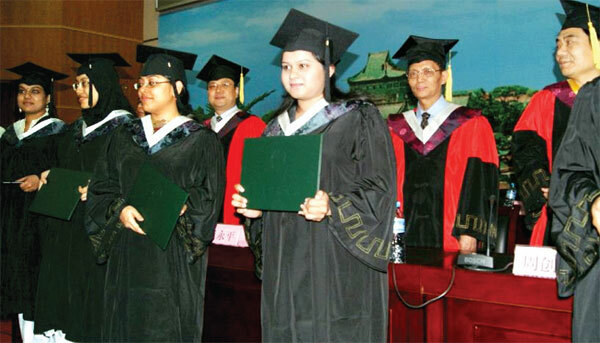 The low cost of medical education in China compared to Indian private medical colleges has undoubtedly played a role in attracting Indian students. For instance, tuition fees for the English-language Bachelor of Medicine and Bachelor of Surgery (MBBS) course at the Fudan University in Shanghai is 75,000 yuan (around $12,000) a year. Whereas an MBBS in an Indian private medical college costs between 5 million rupees ($80,000) and 9 million rupees. Dr CH Spandan, who completed his undergraduate medical course in 2012 at the Liaoning Medical University in the coastal city of Jinzhou, said that his medical education cost less than one-third what it would have done had he attended an Indian private medical college. “Apart from tuition fees, Indian private medical colleges seek donation (capitation fee for the development of the institution). That is not a practice in China, and there is no hidden cost culture there,” explains Dr Spandan, who now works in a reputed private hospital in Hyderabad. Another factor is that each year in India, an estimated 700,000 students take a centralized test for just 31,000 medical seats, making the chance of securing a place fairly bleak for aspiring doctors. The number of Indian students going to China each year has grown by 10 to 20 percent, according to education specialists. “The advantage is the similarity in the Chinese degree to what is offered in India,” says Dr Neyas Mohammed, head of the Kerala-based Asian Educational Consultancy. China is also seen as a safe option for Indian students, especially women, wanting to study abroad. Students at Liaoning Medical University in Jinzhou say they are made to feel at home and offered facilities they need. University authorities in China have made it a priority to ensure the safety and security of foreign students, and to date there have been no reports of foreign students in China being harassed or assaulted, giving reassurance to Indian parents. “In China, universities offer separate housing for girls and boys which also makes parents happy,” says Dr Mohammed. Besides, many universities in China have appointed wardens from their respective countries in ladies’ hostels to make female students more comfortable and secure. The Liaoning Medical University has also established an Indian canteen on the campus serving good quality Indian food. Also, the Indian Embassy in Beijing encourages students studying in China to learn about its culture. “Spend time with with Chinese students. This is the best way of not feeling isolated and will considerably enrich your experience of studying in a foreign country,” says the Indian mission website.